Digital assistants are redefining the rules of SERPs and SEO. For search, digital assistants are definitely playing by their own rules. As their popularity continues to grow they will impact all of search. Today, we’re going to take a look into how you can rank with digital assistants. Digital assistants have, arguably, seen more dramatic change in the past year than any other search tool. With the release of Google Assistant & Google Home we are witnessing a new role technology is playing in our lives, and in search. The precursor to digital assistants was voice activated software like Siri & Cortana. These allowed people to do some basic tasks or perform search through voice search. Companies that wanted to rank among Siri searchers had to change their keyword approach to match spoken sentences. Google took on the voice controls to create Google Now, their first iteration of the digital assistant. With the advancements in speech recognition, early iterations of digital assistants like the Amazon Echo were created. The Amazon Echo’s functionality has a lot of similarities to Google Home and Google Assistant. It is based on voice interaction, plays music, streams podcasts, plays audiobooks, can make to-do lists, set alarms, and give updates on weather and traffic. 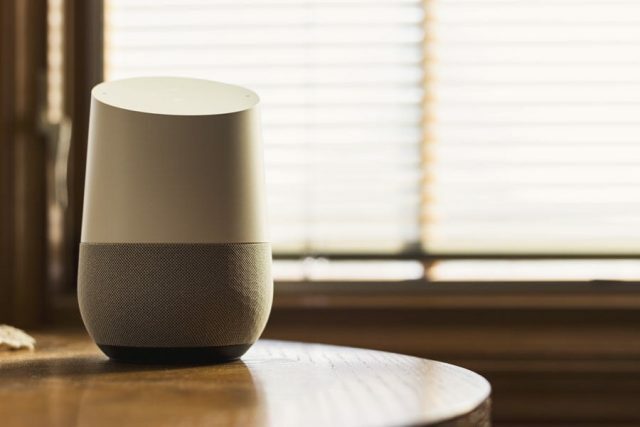 When Google Assistant & Google Home were released last year they took on elements of both voice search and the Echo. Unlike Google Now, however, the assistant wasn’t meant to be used just for voice command, but to create a conversation. Google assistant opens up a 2-way dialogue with the user. Google Assistant is sometimes considered just an upgrade to the Amazon Echo, with more functionality. However, they are far from the same. Google Assistant is built on Chrome, so search is at its very core. It is not just made to use for search, but to develop a complete picture of search and online interactions. Digital assistant search engine results pages are altogether different from what you will see on a browser. Assistants try to streamline and simplify tasks and searches as much as possible. On Google Assistant this generally means only showing the top result. As digital assistants evolve it is possible that this could expand to two or three options provided. But it is unlikely that 10 results will be used, as it is simply too much information and too many options. You must rethink what a SERP looks like to rank on Google Assistant Searches. Digital assistants like Google Home require a unique SERP approach. To rank on Google Assistant searches you need to understand how users interact with the software. We can apply knowledge of how to rank on predecessors like Google Now. As well as through the functionality of Google Assistant. Many of the skills used to rank on voice search apply to creating SEO for Google Assistant. One of the key elements for this is in the use of keywords and phrases. 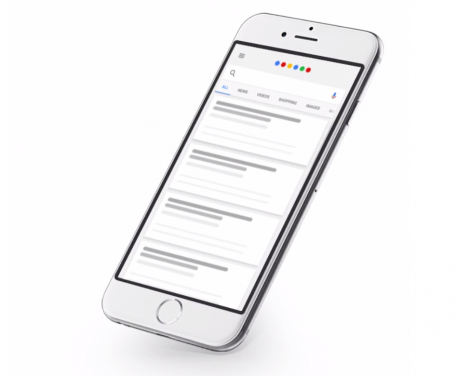 We learned with Siri that users word their search queries differently when they are spoken than when they type them into a browser. Trying to rank for search with voice activated requires thinking about how people phrase spoken questions and using this for in-depth long tail keyword research. Long tail keywords are keyword phrases three to five words long. They often have a lower search volume, but also have less competition and the most relevant search traffic. Unlike Google Now, Google Assistant is designed to be a conversation. The conversation actions for digital assistants help to find the most relevant response to users’ exact query and intent. As a result, specificity in writing is critical to rank with digital assistants. As with past voice search, local results are a major influencer in Google Assistant search ranking. Leveraging local SEO helps local searchers discover your business. Taking advantage of local SEO content and assets like Google My Business helps Google Assistant identify your business as relevant to local users. This makes you easier for local searchers to find. Establishing your value as locally relevant makes all the difference in ranking first on Google Assistant. As discussed with rethinking SERPs, getting the first position is critical to being shown by digital assistants. Local SEO is just one element that can be used to influence ranking. Businesses that cannot or do not rely on traffic need not worry. As the most effective way to be shown first is through featured snippets. A featured snippet is always shown as the top result. It is a brief response that answers the specific search query, most frequently being answers to specific questions. Feature snippets are especially relevant to digital assistant searches because the searches are most frequently questions. In creating featured snippets it is okay to be promotional. As long as the snippet content is informative and useful, you will not be penalized for promoting your product within it. For digital assistants, this can be especially important if you are hoping to make an immediate sale. Promoting your brand, service, or product can help encourage people to continue on to the page. For a blog or news site, using a list format for the snippet may be most effective. This is because lists show that there is more information on page, which can help to get click-throughs. Featured snippets are designed to answer a specific question directly. The short answer format can mean that they can suffer low click-thru rates. Be sure to make them enticing, and offer more information, so that users will click-thru to the page. A staple of all effective content is knowing your audience. To rank for digital assistants you should know where your audience goes for reviews. You need to own that channel. If someone searches reviews through Google Assistant, they will only receive the top review from their most used review source. If your customers primarily use Yelp for reviews, then you should try and own your category in Yelp. Putting an emphasis on location and specific categories can help to own your review channel. For digital assistants, you want to cast a smaller net to reach a more direct audience. For example, an Asian-Fusion restaurant should compete in the ‘Asian-Fusion restaurant’ category, not the ‘restaurant’ category. Digital assistants will have a definite impact on the future of search. The direct results from Google Assistant have yet to be seen. But it is certain that digital assistants will help to build a complete picture of how users search. This picture will impact search engine results. At this moment, not every online business needs to be found on Google Assistant. However, awareness of how it is changing the future of search is necessary to develop content with a lasting impact. To stay competitive online, contact a future-facing search marketing agency today. Elevate your digital marketing and earn a higher ROI. Get started today with a free 30-minute marketing assessment with one of our digital experts, or contact us to learn more.